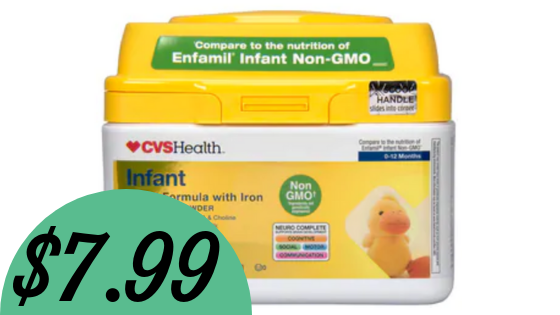 Get a great deal on infant formula at CVS this week! Pair an Extra Care Buck deal and high value Ibotta rebate to get CVS Health Infant Formula for only $7.99 (reg. $18.99)! Check out more CVS deals!